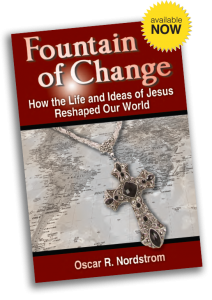 Whether you are an atheist, agnostic, of a different faith, or subscribe to no belief system makes little difference; Oscar Nordstrom shows us how Jesus has something timeless to say to each one of us. And, while Christians view him as the center of their faith, the author shows us that the Gospels depict Jesus as a gifted orator, social reformer, philosopher and humanitarian, whose message is as timely as tomorrow’s headlines. While most see Jesus as a purely religious figure, the author shows us that the Gospels portray a vibrant human being who was filled with kindness and forgiveness; someone who, while humble, was a fearless fighter for justice; someone who could be contemptuous, angry, filled with doubt, and even righteously violent on occasion. Following his death, at the age of 33, Jesus had no one of prominence to carry forth his message, only his working-class Apostles, and a few he came to touch, during his brief ministry. And, all his followers had to give the world were the words that he gave them! These words have resounded down through the centuries in the minds and hearts of many of the world’s most famous and influential people, including non-Christians, up to the present day. In a world beset by hate, violence, hostility, and uncertainty, Jesus’ teachings offer us a road map and compass to inner peace, happiness, and love. Announcing a new and special Gift Book . 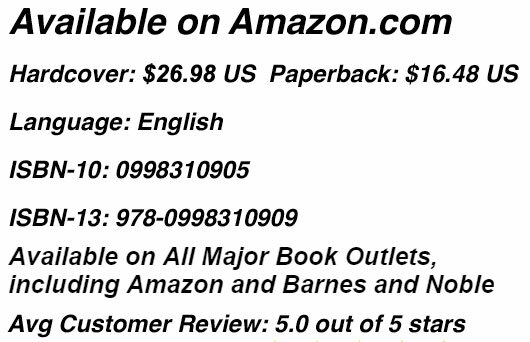 . .
No single gift is perfect for every conceivable occasion, but this beautiful collection of warm, touching verses comes very close. 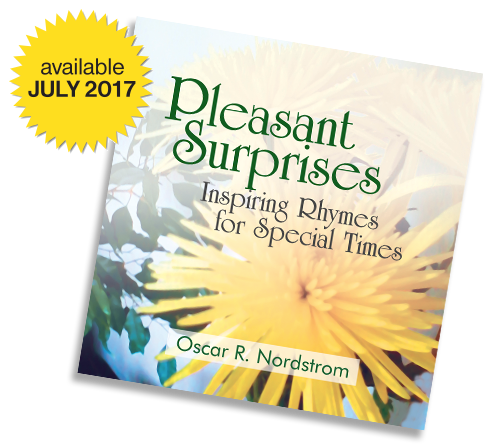 Author/poet Oscar R. Nordstrom’s intimate and thoughtful words express insights that go straight to the heart, and will endure long after the gift is received. Each page is in full color, with lovely visuals that harmonize with each poetic work. Topics include love, youth, loss of a loved one, humanity, nature, Christmas, and the gamut of human emotions and experiences.